A few years back my son Brock and I took a day trip to Bozeman Montana to meet some very dear friends from the Rocky Boy Indian Reservation located in Montana. Donovan Sr, is an Assiniboine Elder who trained me how to make traditional Native American Pipes, (but that is for another blog post) and Uncle Loren. The short version is we met Donovan Sr. and Uncle Loren (we call him “Uncs”) to pick up some sacred pipe stone and a couple of new pipes, just completed by Donovan Sr., to take back to Jackson Hole to be photographed. We also picked up some pipe stone for ourselves as well as exchange some pipe stems, ideas, and friendship! The day in Bozeman ended in what we call a “Good Trade” day. Our trip started early on a Saturday morning, leaving Jackson Hole at around 8:00am. After getting our coffee and a couple of bagels we hit the road. When traveling through this part of the country, which is sooo amazing and in a single round trip of about 450 miles one can experience everything the Rockies has to throw at you. The weather this Fall day was awesome, skies were clear blue and the sun was shining bright, and the temperature was perfect when we left town. There are a couple of ways you can make your way to Bozeman from Jackson, one through Yellowstone Park’s south entrance or head through Idaho, back into Montana, north through the very northwest corner of the park and finally past Big Sky Montana as you make your way down the Gallatin River into Bozeman. From Jackson to Bozeman is about 214 miles (one way) over some of the most beautiful roads you can travel. 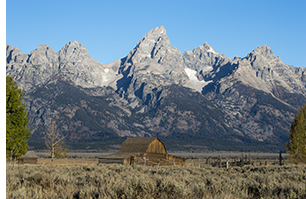 We chose to head west over Teton Pass and into Idaho, then north along the west side of the Teton Range. You first travel through beautiful rolling hills where much of the russet potatoes are grown in Idaho, not to mention double row barley (which Anheuser Bush buys for their beer) and after you make a turn east in Ashton Idaho you eventually end up in West Yellowstone. For those who are not familiar with Yellowstone Park, there are 4 entrances to the park. Jackson Hole to the south, Gardiner at the north, the east entrance which leads to Cody, Wyoming and the west entrance which is West Yellowstone (it’s a town). Some of you may be familiar with West Yellowstone as some of the premier fly fishing rivers in the world are in the area. The Madison river, the Firehole, Henry’s Fork, the Buffalo, the Gallatin and many more. This is truly Lewis and Clark country. From West Yellowstone you head north toward Bozeman and you travel though the very northwest part of Yellowstone Park and you quickly pass over the Madison River eventually picking up and following the Gallatin river all the way into Bozemen. One important note here is that you pass right through a part of the park that suffered from the big fire in 1988. It is awesome to see how nature has recovered. You pass Big Sky Montana Ski Resort and other beautiful scenery. This is one of the most beautiful stretches of road to drive at any time of the year. Once in Bozemen we had our little pow wow with friends, stopped at a few stores and headed home. When we left Bozeman the clouds had started to gather. The weather from Jackson to Bozeman had been perfect! Clear skies, very dry roads, an easy drive. But things were about to change. We headed back up the Gallatin to West Yellowstone. This part of the trip is about 90 miles. As we pulled into West Yellowstone, Brock said “Dad why don’t we go home through the park”. I said sure let’s do it. It is important to note that this is about 4:45pm MST and it is getting darker. It is important because this is animal hour in the park. We entered the park and headed towards the Old Faithful Geyser basin. This part of the trip from West Yellowstone to home in Jackson is about 130 miles. This is when things started to change. We first ran head on into a male buffalo that decided my truck was bigger than he was. So he mosied off the road and into the pasture that sat along the Madison river. He was the first of hundreds we were to run into this day of travels through the park. And on top of it, it was starting to rain. I quickly looked at my temperature gauge and saw that the temp has dropped drastically to 38 degrees. This was important because at 38 degrees and below it will start to snow if the conditions are right. As we got closer to Old Faithful we saw elk, and big herds of buffalo and we drove along the banks of the Madison River, simply awesome. By the time we got to Old Faithful Geyser Basin the temperature was down to 36 and still raining. And it was now getting pretty dark. Clouded skis and looking even darker towards Jackson. Along this stretch of the road you travel along the banks of the Firehole river for part of the way and it gets it name from all the thermal activity that it passes through. An amazing sight to see in its own right. This is an beautiful part of the park and we tried to take some pictures before the light got too low. Almost everywhere you look you see geysers, fumaroles, steam, hot pools, bubbling mud, trees, animals, – awesome! We decided to pull over to take a short break and just take in this beautiful valley. But we did not stay long as the temperature continued to drop and I said to Brock we are about to get snowed on. But the ferocity of the change was not expected. We headed south towards home and as we got down the road about 5 miles the temp dropped to around 32 and I said to Brock here it comes. And come it did! It did not flurry a bit or start real light – it just started snowing. Now in this part of the country you will cross the Continental Divide many times. And we were heading for one of those crossings at an elevation of 8391 feet above sea level. One other thing to note here – the park was void of people as it was close to closing so we were basically on our own. The snowflakes started to increase in size and the volume at which they fell was speeding up. The road quickly disappeared and became totally white. The snow was accumulating at a rate that I estimated at over an 1-2 inches per hour maybe even more at times. We put the truck into four-wheel drive as we were not going anywhere without it. Our speed dropped to about 25 miles per hour and we are crawling our way through Yellowstone park in the middle of a snow storm all alone. When we left Jackson it was sunny and clear. In Bozeman it was starting to cloud up but still relatively warm. West Yellowstone it started to rain and now we were surrounded in white. Our final stop before it got real dark and we made the final trek home was the pass where we cross over the Continental Divide. We stopped and took this last picture here. We got out of our truck and it was completely quite. Snow was falling straight down and you could hear it hit the trees, your clothing, the truck. It was coming down so thick that it would fall right into your mouth. If you have never experienced the complete quite of the forest and to see snow falling straight down and building up in front of your eyes you have missed one of heaven’s real treats!! The light faded fast and Brock and I decided that if we did not get moving we may be spending the night here as the snow was already over a foot deep on the road. We slowly made our way to the south entrance of the park and as the roads started to clear we made our way home to Jackson. You actually leave Yellowstone Park and then make your way through parts of Teton National Park before you get into the Jackson area. This was an amazing day for Brock and I – we spent it together as father and son, we shared lunch with friends and they we got to see God’s hand on our Mother Earth. We were kissed by her this day and left with a memory I shall never forget! WE WERE TRULY BLESSED THIS DAY! It is sometimes funny how people view what it is that you do. For 30 years I have made my living as an International Health Insurance broker. Selling health insurance and working with people from around the globe is actually a very rewarding career. But when I need a break or have a day off my passions fall into two categories, Photography and hand crafting Native American Flutes. 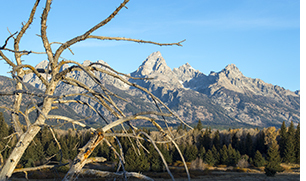 Living in Jackson Hole Wyoming offers one so many incredible opportunities to photograph the amazing that is right in front of our eyes every day. Yes living here I am blessed. Through the lens of my camera I see the same vistas differently every time I venture out. I have been humbled by those of you who have commented positively and those of you who have encouraged me to make some of my work available. This is actually quite new for me but I have decided to do just that. If you are interested please email me at @timjen333@gmail.com or call (307) 690-0427. Another hot cup of coffee and a short road trip north of town. Fall is quickly starting to pass and winter is not far away. The weather was not the best for all these pictures but we found a few that we liked. Waiting for the first snow to get some shots of whats to come. Enjoy the slide show. I have to apologize as I have been kind of missing over that past winter. So many things have happened but life is getting back to normal. Spring is here in the Tetons and it is in full swing. After a long winter and a pretty wet Spring the sun if finally out. On this morning I grabbed my cup of coffee from my favorite coffee bar here in Jackson and off I went. The sun was out and the sky clear. I was on a hunt for anything that looked like it deserved the lens of my camera. After getting into the park I turned off on one of the dirt roads I have seen grizzlys on and instead I found these little guys. I had stopped to take a couple of pictures of some cool looking trees when I noticed this group of varmints enjoying their morning. I literately sat down among them and these are a few of the shots I got. Wow, hard to believe it is February, 2013 already. I know I keep saying this but time is flying by as they say. After several days of winter weather the sky’s opened up this morning and gave us clear blue sky’s, well with a few clouds floating around. It was 9 degrees at the coffee shop but something makes you seem a lot warmer when you see good ol Mr. Sun. One more stop at the DOG (Down On Glen) for one of Jackson’s premier breakfast burritos and off we go. Today’s destination was Oxbow Bend and Jackson Lake in Grand Teton National Park. The pictures above are a very typical morning here in the valley. You never know what will catch your eye when you cruise along. The truck in the pictures is our first brand new Ford F350 which we will be using this spring when we kick off our new Private Party Tours that we will be offering through our website www.tetonmarketing.com. If you are visiting Jackson this summer consider letting us take you out and see some of the things we are blessed to experience every day. More on this in future posts. Some of you may be wondering what happened to our weekly posts and the truth be told is we have been enjoying the most amazing Fall weather. 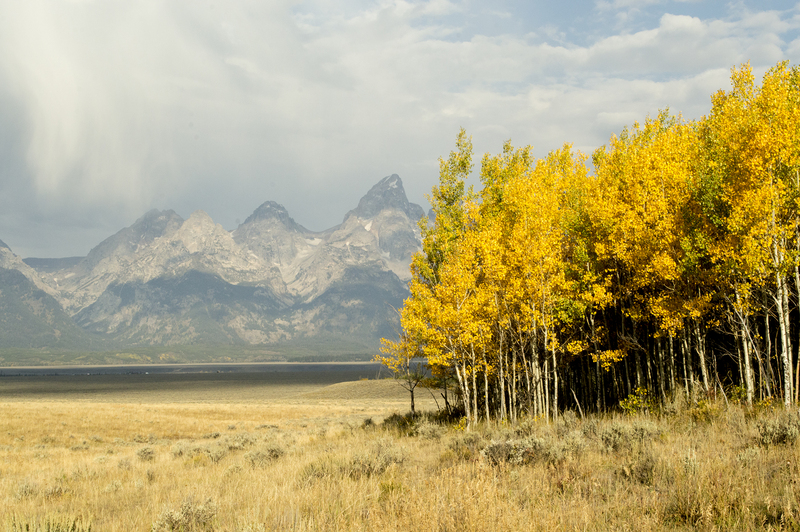 I can’t remember when the last time we saw such a beautiful, warm, completely awesome Fall in Jackson Hole. Weekends at the lakes with our kids, people still riding their bikes around town and on the trails and more tourists seemed to hang around longer than in years past. Simply a very nice surprise for those of us living in the Yellowstone Basin. But as we all know the winds of change come quickly when mother nature decides that it is time. 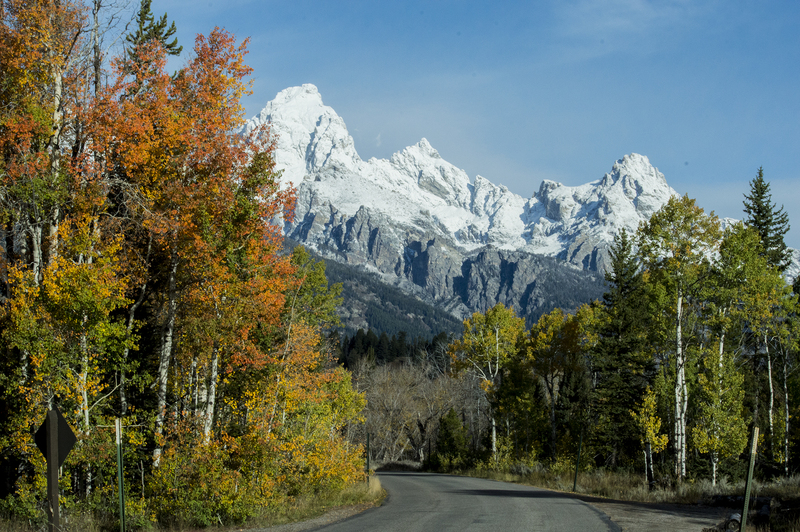 One of most unusual things I noticed this fall was the complete lack of snow on the Tetons. It seems that there is always snow somewhere on these majestic peaks but this fall snow was almost devoid of this precious white commodity. One of the side effects of this wonderful warm weather was the total lack of water that we saw this summer. Jackson narrowly escaped one of the worst fire seasons on record and because of the heroic efforts of so many firemen and state and federal assets Jackson narrowly escape what could have been a tragedy. So with our rivers and streams down and our open spaces brown with thirst this warm fall season left many of the true locals lacking the very basic things they need to survive the upcoming winter. 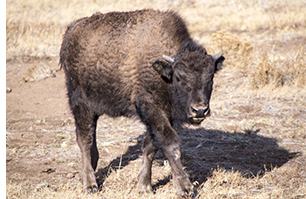 We saw a return of the Bison to the area north of town and it was clear to me that this past spring and summer was good to these herds as their young were everywhere. But the lack of tall grass like we saw last year seems to be on the thin side and so we ponder how they will fair this winter. 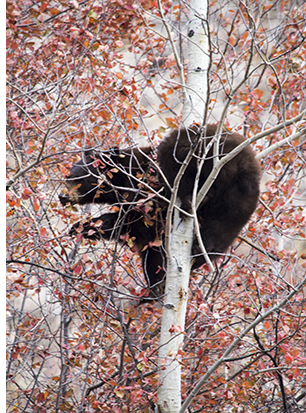 One clear sign that pickings are thin were the numerous bears we saw this fall all looking for something to eat. On the Moose Wilson road the Hawthorne bushes that are usually packed with life giving berries simply did not seem to materialize. 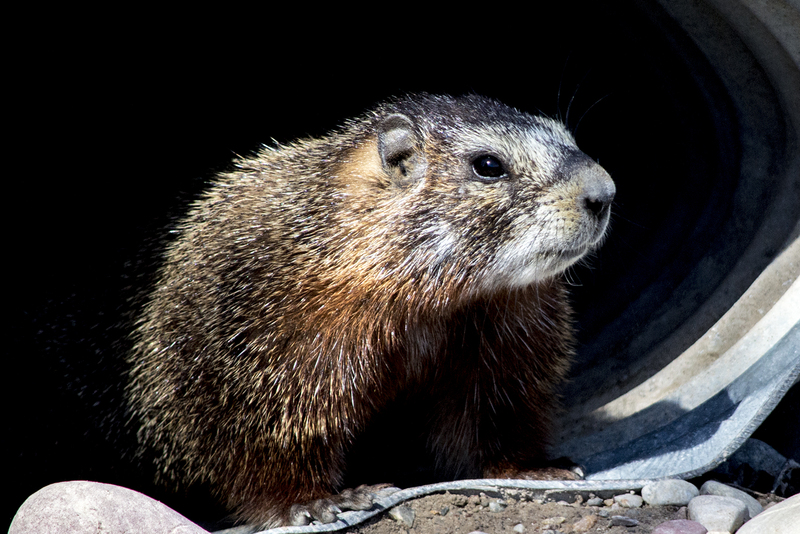 The lack of water this summer showed clearly how devastating this could be when it came time for these animals to find food in preparation for winter. We watched bears climbing trees and pulling empty berry branches to their mouths eating what ever they could get their paws on (literally). Another event that fall brings is the beginning of the hunting season. 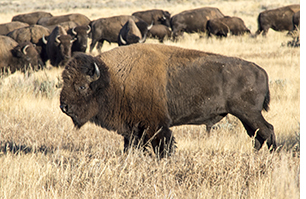 People are pulling permits for Elk, Bear, Antelope, Wolves (new this year), Bison and even birds. 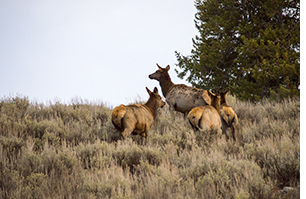 Especially for the elk, fall brings the double hazard of foraging for food while hiding from hunters doing the same. Small groups which to me look like little families run for cover after coming out of hiding for a well deserved drink and then it is quickly up the hill side to the safety of the trees. Although I enjoy a good elk steak I enjoy even more seeing these beautiful animals in the wild. 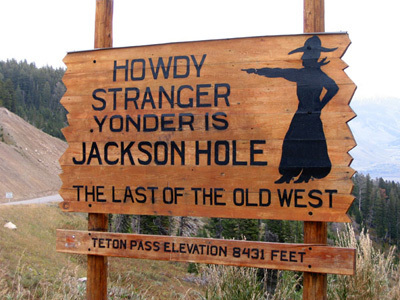 Yes Jackson Hole and the surround area is a magical place to live. And with each change in the seasons you definitely know what time of the year it is. 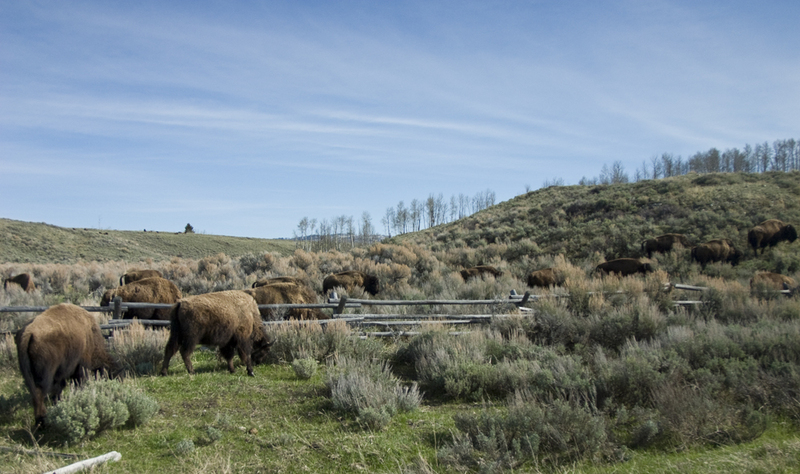 My worry this year is that because of the amazing summer and warm fall weather we have enjoyed, this winter may bring a true struggle for life for all that inhabit the great Yellowstone Basin. Especially for the young, this first winter for them will be the test of how strong they are. Food is scarce and they need these calories to make it through the winter. As of now they look strong to me, and I am sure the Great Spirit will lift her hand to comfort them and bring them through what is about to come. I leave you with a Native American Flute Song that shares with you a message of peace and hope. Written and produced by Nakoa Heavyrunner, Assiniboine Native American Music Artist, The Honoring is presented first in song, then by Native American Flute, then English and finally one more time in Northern Cree. We too wish all of you peace and good life this winter.